Brian Ray is a resident of Huntley Hills, serves on the board of the Huntley Hills Neighborhood Association, and is a member of the Chamblee Chamber of Commerce. He is married with two small children. He was born in Texas, grew up in Arkansas, and lived in Montana, Virginia, and Oregon before moving to Georgia in 2006. Brian is a landscape architect and planner with over fifteen years of experience including land development, site design, planting design, and military base planning. He holds a Bachelor’s of Landscape Architecture from the University of Arkansas, and a Master’s of Landscape Architecture from the University of Georgia. Leslie was first elected to the Chamblee City Council in 2007 and was elected again in 2011. Since taking office she has been devoted to becoming a knowledgeable and well-learned public servant and has attended over 200+ hours of credit in state and local government policy and practices seminars sponsored by the Georgia Municipal Association and conducted by the Carl Vinson Institute of Government at the University of Georgia. 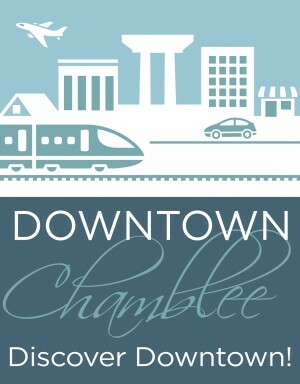 In addition to fulfilling her duties as an elected official Leslie is proud to serve as a Chamblee Downtown Development Authority board member and was instrumental in its founding. She is an active member in the Huntley Hills Neighborhood Association and is a Neighborhood Watch block captain. Leslie was born in Philadelphia, Pennsylvania into a military family and spent the first eight years of her life on several different bases in the US and abroad until the family was finally transferred to North Carolina where she grew up, attending St. Mary’s School, Goldsboro High School, and East Carolina University. Leslie and her husband Jim have been residents of Huntley Hills in Chamblee since 1996. She received her associate’s degree in environmental horticulture from North Metro Tech in 1999. Upon graduating, she formed her present company, Dragonfly Landscapes & Gardens, a residential landscape design/build firm. Robert Pond is a Partner with Perimeter Commercial, an Atlanta based commercial real estate firm where he heads up acquisitions, development and investment (which includes two adaptive reuse developments in downtown Chamblee). Robert has been active in commercial real estate, financial analysis and marketing/consulting since 2003. He is a graduate of the College of William and Mary with degrees in Economics and Marketing. Prior to Perimeter, he worked in acquisitions and development for EpiCity, Inc., an Atlanta based CRE investment firm with over $200 million in assets under management. He currently resides in the Huntley Hills neighborhood of Chamblee with his wife and daughter. Rob Smith grew up in Dunwoody and graduated from The University of Georgia with a degree in Economics. He is a resident of Keswick Village and moved to Chamblee in 2012. Rob works in Real Estate Asset Management, having worked for companies like Jamestown Properties and Rialto Capital Management. He has experience working in Office, Retail, Hospitality and Multifamily in several different markets across the country including San Francisco, Washington D.C. and here locally in Atlanta. Rob is active in the Lacrosse Community in Georgia, having started both the North Springs High School and Middle School Feeder program. He coached at North Springs, Riverwood and Marist and has been an active volunteer at Atlanta Youth Lacrosse since he first started playing with the program over 20 years ago. As Downtown Chamblee moves into the 21st century, its history is being written in a multitude of languages. From its foundation as a southern rail town, its people have built a progressive urban city that is eagerly awaiting its next transformation. Please join us on the ride.